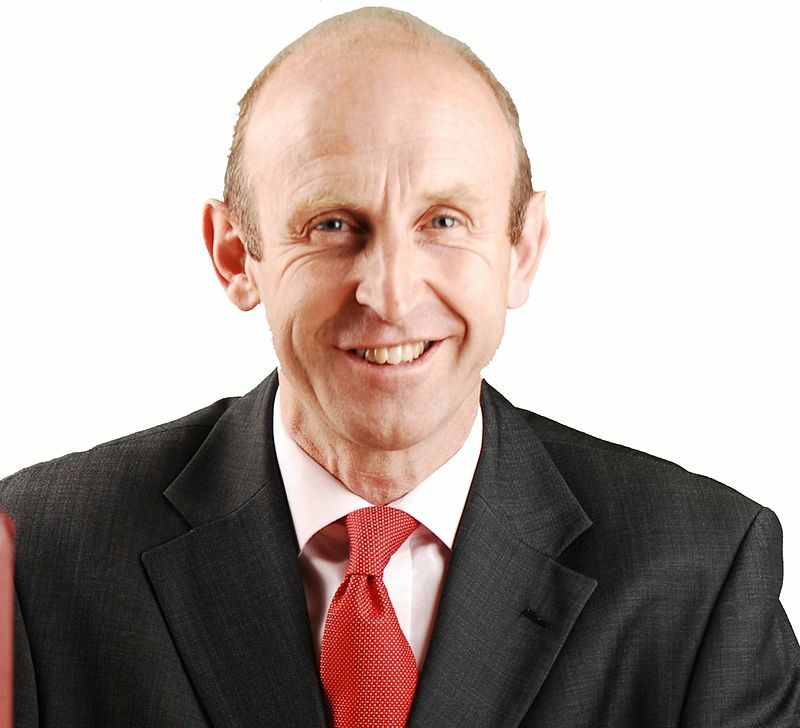 Below is the text of the speech made by John Healey to Labour Party conference on 28th September 2011. We’ve heard powerful testimonies today in defence of our NHS from our panel, and in our debate. Thank you. Today we reject the Tories’ plans. We back the founding principles of our NHS. And we dedicate ourselves to winning a Labour government to protect the NHS. It has been a real privilege to work with an outstanding shadow health team; with many of you in our health unions; and with Norma Stephenson and the Party’s policy commission. But the greatest privilege has been meeting the men and women of the NHS, and hearing patients’ experiences. Last week I was with Margaret Pritchard – a long-time community campaigner for Whiston hospital. She’s never forgotten the NHS under the Tories: ”People were waiting hours on trolleys in the corridor. I know”, she told me, “I was one of them”. Or Anne McCormack, who I met at Conference this week. Doctors found breast cancer and she said “Thanks to the NHS and what Labour did, I’m here today and not an obituary”. We take great Labour pride in the creation of the NHS. And in the great improvements people saw during the last 13 years of Labour investment and reform. Hundreds of new hospitals and health centres. Thousands more doctors, nurses and specialist staff. Millions of patients with the shortest ever waits for tests and treatment. But the NHS was not built by governments. The NHS was built by nurses and doctors, radiographers and pharmacists, porters and clerks and cleaners. Built over decades by people from across Britain and the world – committed to curing and caring; sharing their humanity and the high ideal of public service in our NHS. It was built by working people, through their taxes, willing in the knowledge that care will be there if they need it, free and equal for all. The NHS – the proudest, greatest Promise of Britain. Even David Cameron declares he loves the NHS. But he’s never been straight with people. “Stop top-down reorganisations”. Broken. Big time. That’s why people are starting to see the NHS go backwards again with the Tories. Services cut; treatments denied; long waiting times up. We’ve seen over a million patients suffer long waits for treatment under David Cameron, breaking Labour’s guarantees to patients. The Prime Minister is in denial about the damage his Government is doing. The chaos of the biggest reorganisation in NHS history. The waste of billions of pounds on new bureaucracy. The betrayal of our NHS in a health bill which will break up the NHS as a “national” health service and set it up as a full-scale market, ruled for the first time by the full force of competition law. No one wants this. No one voted for this. I am proud that it’s Labour that has led the campaign to defend the NHS. The first to expose and oppose the Tories’ plans last autumn. Then the long, slow haul of opposition: building alliances behind the scenes; making arguments that others come to accept, then make as well; and – yes – allowing others to claim credit to get results. David Cameron claimed last month: “The whole health profession is on board for what is now being done”. He thinks he’s right. Doctors’, nurses’, patients’ groups say he’s wrong. So this summer we called on the people to help save the NHS. From the south coast of England, to the northern cities. Labour and union members, together, took to the high streets and the town squares with our campaign. It’s been a while since many of us can remember people queuing – queuing – to sign up to a Labour petition. The Tories and the Lib Dems are throwing away Labour’s golden legacy to NHS patients. Destroying the goodwill of NHS staff to support further reform. Piling extra pressure on the NHS to make short term cuts, rather than long-term change. And our health and care services do require reform. Yesterday Ed Miliband set out our Labour values. He said the rules for care services must change. People’s confidence in care was shaken by the crisis at Southern Cross. Care for some of the most vulnerable in our society, traded by predatory fund managers who saw elderly people as commodities. Dementia as a high-profit market. We did not act before but we will in future. So we will regulate for the best business practices as well as the best care standards. And let us learn lessons for the NHS. The health bill opens up all parts of the NHS to private companies, backed for the first time by a competition regulator and competition courts. Ministers in private conferences talk about “huge opportunities for the private sector”. Their civil servants hold secret talks on handing over 22 NHS hospitals to a foreign multinational. Privatising NHS hospitals will drive a wedge between hospitals and the wider health service. Companies whose bottom line depends on bringing more patients, more business into their own hospitals, will not collaborate with others to cut admissions, when the treatment for patients can be better and better value elsewhere. The huge challenge of changing health needs, tighter finances and a more elderly population can only be met through more reform – more say for clinicians; more control for patients; more prevention; more integration of services across hospital, primary and community care. Let me be clear. There has always been and will be in the future an important contribution for non-NHS providers – including private providers – towards better health care, to supplement not substitute for the NHS. But let me say now, hospitals are at the heart of our NHS; they should be in public not private hands; dedicated totally to patients, not profits. So we will oppose any government move to privatise NHS hospitals. We will guarantee under Labour that NHS hospitals remain in the NHS. Labour will look instead to develop integrated care organisations to allow primary, secondary and social care to work together. And because our values demand we’re not neutral on who provides care, we will look to promote those that share a true social ethos over those driven by narrow commercial interests. We make this pledge not because we want no change in the NHS but because we need greater change. Because our health and care system must reform, and must retain the faith of all who need and use it. I had an email from a mental health nurse the other day. He said “you and your Labour colleagues are the last bastion of the NHS; don’t let us and future generations down”. Conference, the health bill has been through the Commons but the battle is not over. The NHS was built by the people. It is cherished by the people. It belongs to the people. We will give voice to the dissent of people who heard your promises, saw your posters; people who wanted to believe you before the election but are now seeing the truth. You can’t trust the Tories with our NHS. Bevan said “the NHS will last as long as there are folk with the faith to fight for it”. Conference, this is our faith. Our fight.